THE PICKIEST EATER IN THE WORLD: THE SEVENTH BITE: THE VIKINGS ARE COMING TO SM CITY CEBU! 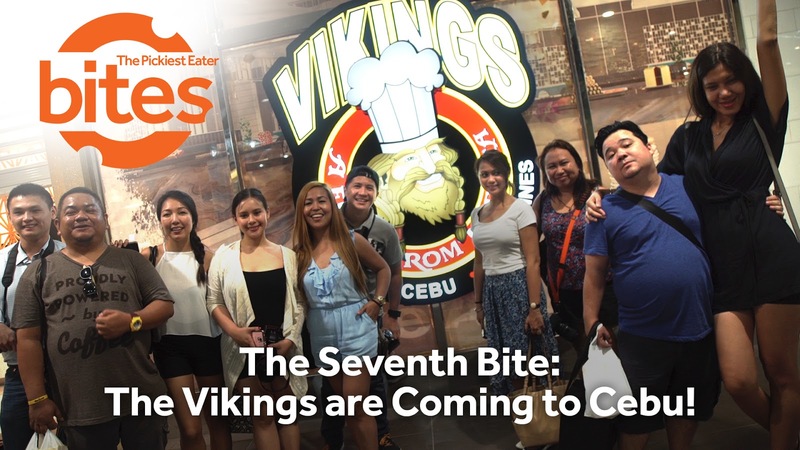 THE SEVENTH BITE: THE VIKINGS ARE COMING TO SM CITY CEBU! Some of my blogger friends and I were flown to Cebu via Air Asia for a taste test of some of the amazing dishes that Vikings Luxury has to offer the hungry Cebuanos..
Vikings Luxury Buffet opens on May 10 at SM Cebu NORTH WING! The area is a spectacular dining paradise that can seat roughly around 300 people, and they'll be serving the amazing food that Vikings has been known for. Check out a quick glimpse at the Video Above! Want to dine at Vikings for half the price? 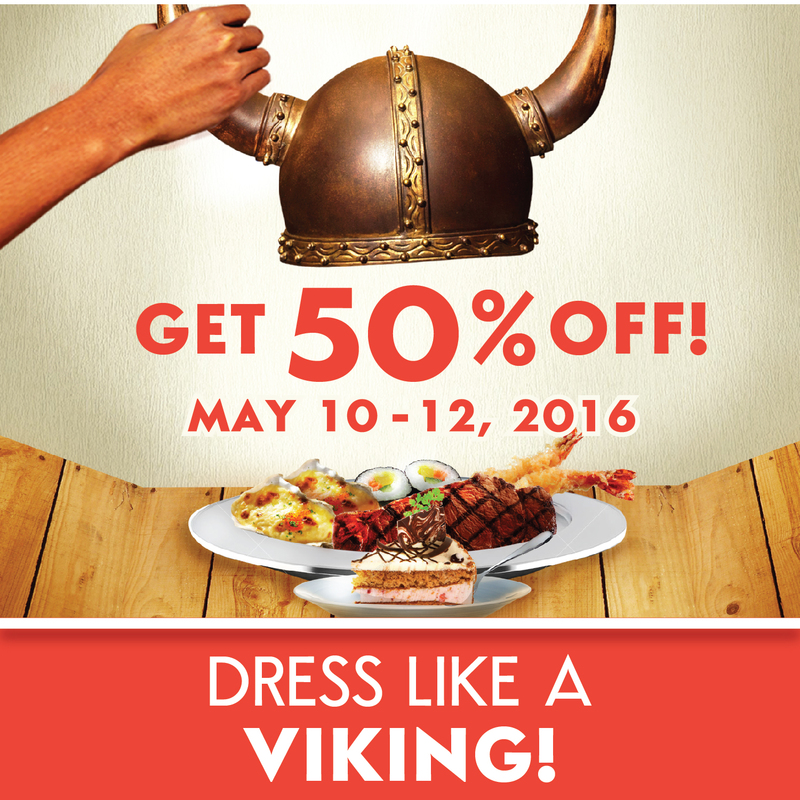 1) From May 10 - May 12, guest who dresses up like a Viking will automatically get a 50% discount on their individual bill. 2) Example requirements to qualify for the 50% discount: Vikings Helmet, Vikings Sword & Shield, Vikings Cape, Vikings Outfit, OR a full on Vikings costume. 3) Each qualified guest will receive a discount coupon when seated; this coupon will be used to claim the 50% off discount. 4) Coupons received on the day must be consumed also within the day and time chosen (lunch or dinner). Coupons cannot be saved and used for a different day. 5) Guests availing the discount must be dressed like a Viking at all times until upon seating. 6) If reservations are full, guests may choose to come in as "walk-in" guests for the discount; subject to table availability. Guests may come at their most convenient time to have their names listed on the "walk-in" list for lunch or dinner. Lunch operation starts at 11:00 am, while dinner starts at 5:30 pm. 7) Lost coupons will not be replaced. 8) Discount is applicable on a per pax/individual basis. 9) This promo can't be used in conjunction with other in-house promotions or discounts. 10) This promo only available in Vikings Cebu. 11) This promo is valid from May 10 - 12, 2016. 12) Guests who has the best "Vikings-look" will win 2 weekday lunch Vikings Gift Certificates. One winner will be chosen every lunch and dinner. Guests will be judged before entering the store and prize will be given once inside the store. 13) Guests who doesn't wish to dress like a Viking will automatically receive a 20% discount instead. *This promo is open to reservation and walk-in guests. CHILI'S: CRAFT BURGERS, RIBS AND STEAKS, OH MY! A WEEKEND FIESTA AT MARCO POLO ORTIGAS' CUCINA! A TASTE OF THE BIG EASY AT CAFE CREOLE!